Florence’s cathedral (affectionately referred to as the Duomo) is without a doubt the most magnificent building in the city. 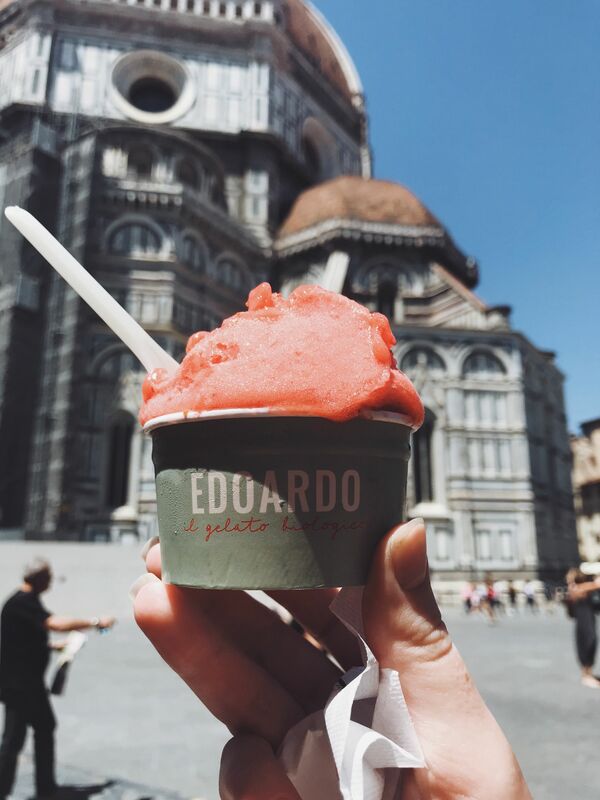 Thus, it should be your first stop when touring Florence in a day. Luckily its very easy to find as every road in Florence seems to lead to the Cathedral, whats more its colossal dome can be spotted from miles away. I was amazed by the Duomo when I saw it with my own eyes. I think its impossible to grasp its true scale and beauty until you’re stood right beside it, photos simply do not do it Justice! Of course, viewing the Duomo from the outside is spectacular but getting an inside perspective of this great cathedral is also a must. 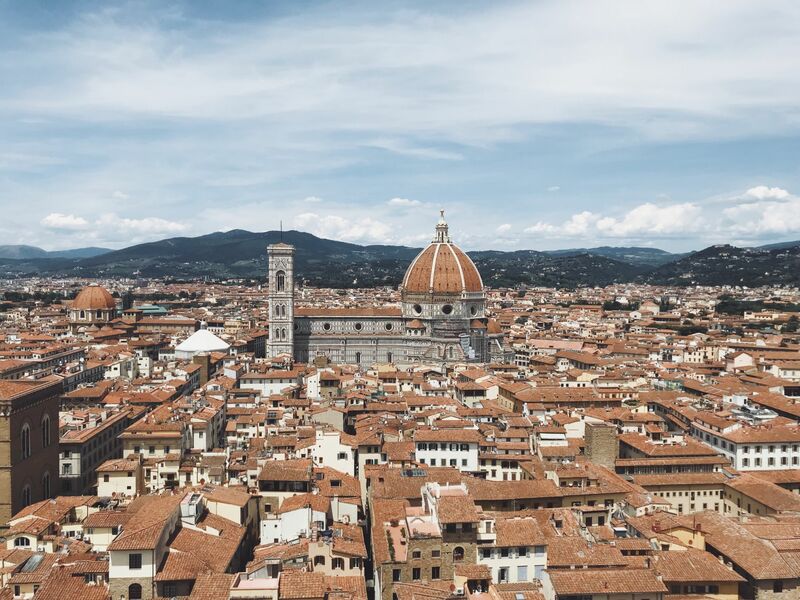 In fact, one of the top things to do in Florence is to climb Brunelleschi’s dome, the views from which are said to be breath-taking. Unfortunately, on my own visit to Florence, I was unable to do this as I miss judged how popular the Cathedral is… For one, the queue into the main cathedral (which is free to visit) was several hours long. What’s more, You MUST pre-book tickets to climb up the dome. I was told that tickets sell out up to three weeks in advance during the summer months! Therefore I’d highly suggest pre-booking your tickets to climb the Duomo online. (you can purchase a combination ticket that also provides entry to Giotto’s Campanile and the Baptistery, which are both adjacent to the cathedral, for €18). My poor organisation also meant that I missed out on the chance to visit two very famous Florence attractions: the Uffizi Gallery (that contains one of the oldest and most famous art collections in the world) and the Galleria Dell’Accademia (which is home to Michelangelo’s David). For me, this wasn’t a huge loss as art isn’t really my thing, but if you want a chance to tour these galleries on your own trip to Florence then I’d highly suggest pre-booking tickets as entrance is restricted and tickets sell out fast. TOP TIP: If these galleries are high on your list of ‘What to see in Florence’, then you might want to spend more than one day in the city as visiting will take up more quite a lot of your day! As tickets to the above galleries were sold out for my one day in Florence, I instead decided to visit Palazzo Vecchio, another of the top things to see in Florence. Previously referred to as the ‘People’s Palace’, this historic building has been the epicentre of politics in Florence since the early 14th century, and its still used as the cities town hall today. The palace is full of beautifully decorated rooms with elaborately painted ceilings, the most impressive of which is the Hall of the Five Hundred which features many impressive wall frescoes and golden decorations. This said, what makes the Palazzo Vecchio one of the best places to visit in Florence is its tower. Standing at 95 meters, the top of the tower provides the most breath-taking views over Florence, including a great perspective over the Duomo. You have to climb 416 steps to be rewarded with these views, but trust me it’s more than worth it! After touring Palazzo Vecchio, I continued my Florence sightseeing by visiting the Boboli Gardens. 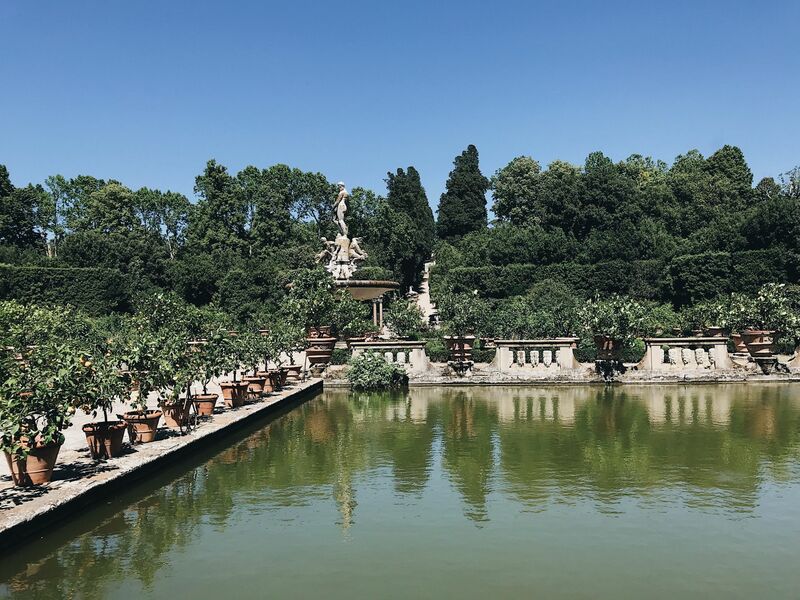 Located In the grounds of the Pitti Palace, the former residence of the Medici family, these gardens provide the perfect place to get away from the crowds and to enjoy some downtime. I found the gardens to be one of the best places to see in Florence. Winding paths framed by manicured hedges create the perfect green haven, meanwhile, grand sculptures and fountains remind you of the gardens royal past. The highlight of Boboli Gardens however, is the views from its hilltop position. Sitting high above Florence, part of the garden provides a beautiful view over the city below! TOP TIP: entrance to the gardens costs €10 (or €5 for EU citizens). 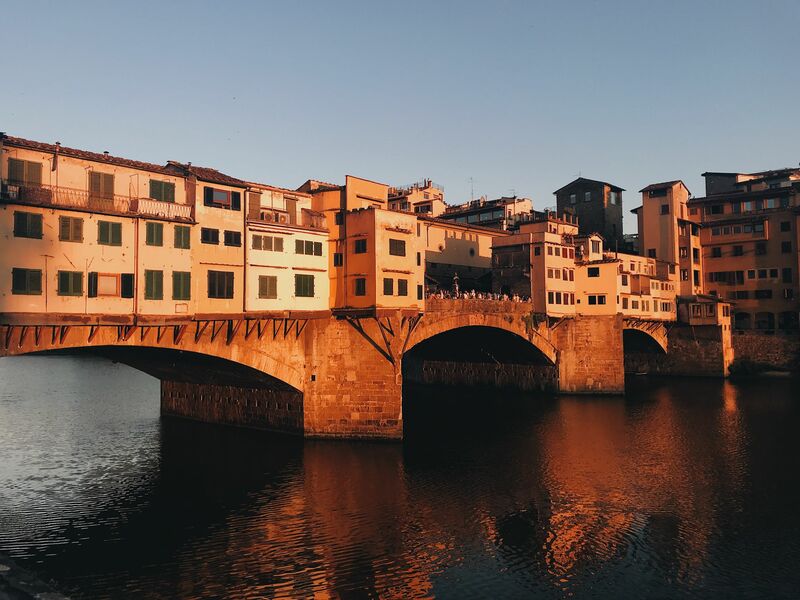 When you google ‘What to do in Florence Italy’ one of the top suggestions is a visit to Ponte Vecchio bridge, the oldest bridge in the city. This famous attraction is just a short walk from the Duomo and I actually crossed it several times during my 1 day in Florence. For the best view of the bridge, you can walk along the river to St Trinity bridge. From here you can look back at the medieval structure and marvel at its unique character. I found that it’s especially beautiful at Sunset! Speaking of breath-taking Tuscan sunsets, most people head to Piazzale Michelangelo to watch the sun go down over the city. This meant a visit to the viewpoint was the last stop on my Florence one day itinerary. 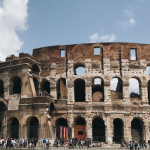 The Piazzale is a little bit of a walk away from the main Florence attractions, but this provides the opportunity to walk through the cities more local neighbourhoods. The viewpoint is then located at the top of a hill which looks down onto central Florence. From this prime location, you can see all of the cities famous monuments and buildings. I miss-judged just how late the sunsets in Florence in summer so left the viewpoint for some dinner before the sun went down, but the views are magnificant what-ever time of day you decide to visit! 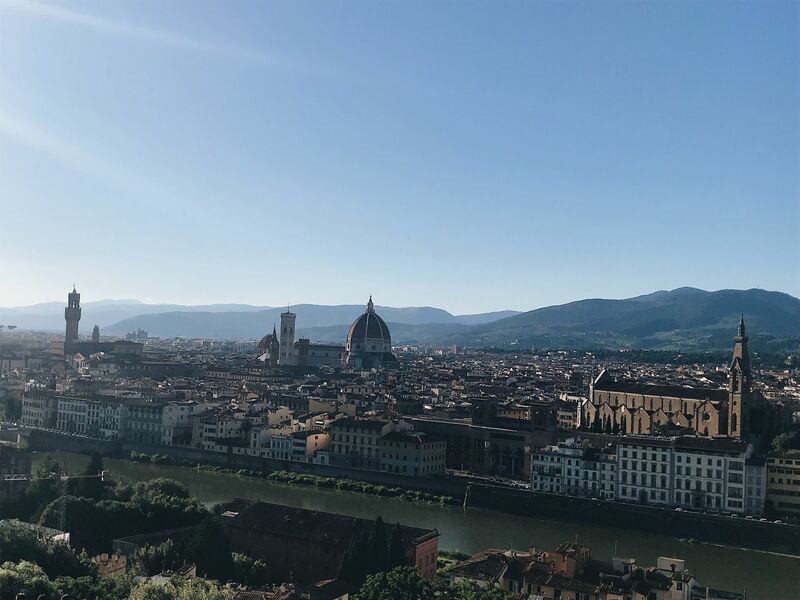 Therefore, a visit to Piazzale Michelangelo is definitely one of the best things to do in Florence. 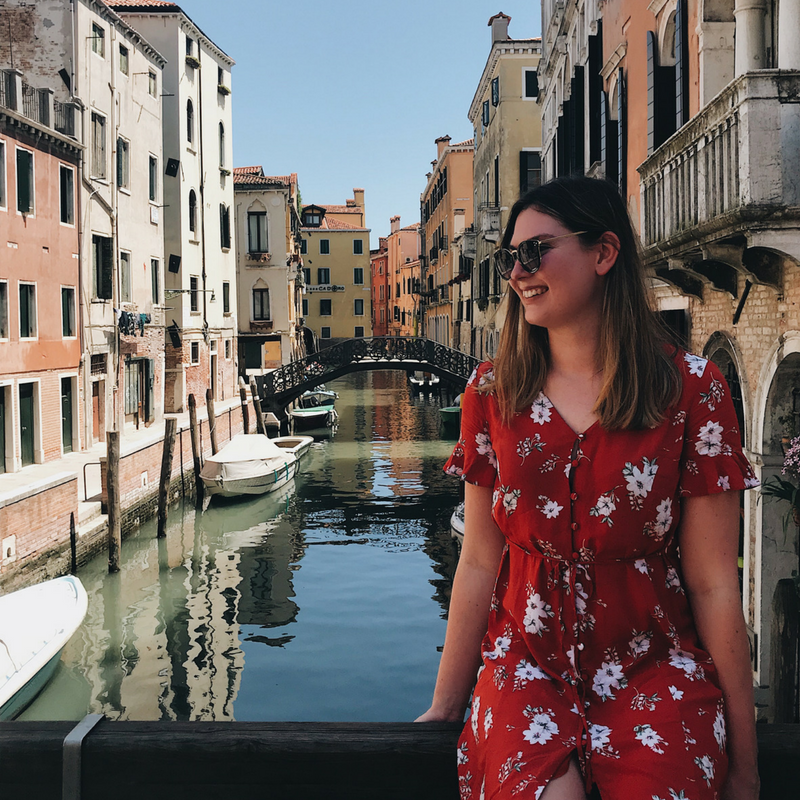 I loved how relaxed Florence felt compared to other Italian hotspots such as Rome and Venice. I also fell in love with the Duomo and the cities picturesque orange rooftops. I can certainly see myself returning as Florence made me want to explore the more of Tuscany! From this, I will say that it is possible to explore Florence in one day. However, I think two days would be more appropriate (especially if you’re organised and managed to get tickets to get into the Duomo and Galleries). 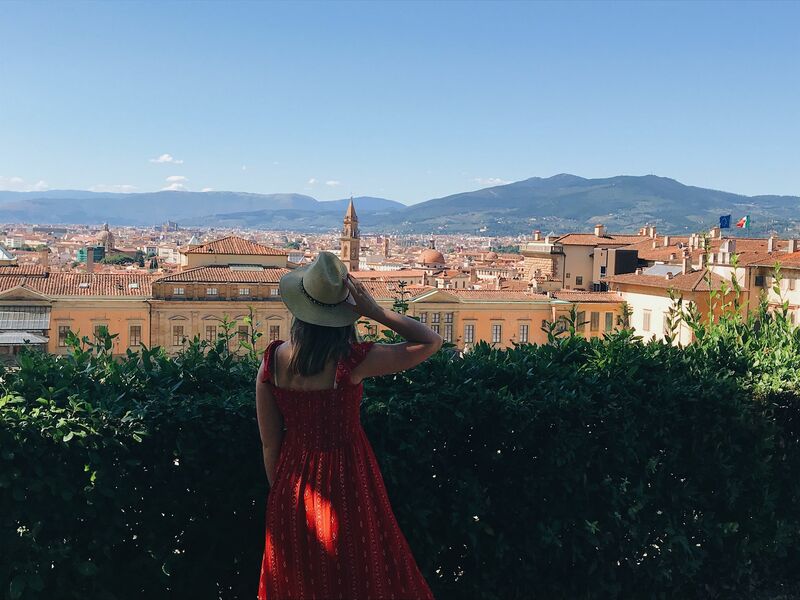 I visited Florence quite a few years ago and I really want to go back, so this is so great! It’s such a beautiful place and I’m definitely adding it to my bucket list for next year. That’s a great list! I went to Florence year ago and did the museums but there a lot more I’d like to explore like the Boboli Gardens which look beautiful. Thanks for sharing! I love Florence! I’ve only been once and didn’t stay very long. By reading your post, I realize I need to come back and see so many other things I didn’t have time to visit the first time. Thank you for sharing! 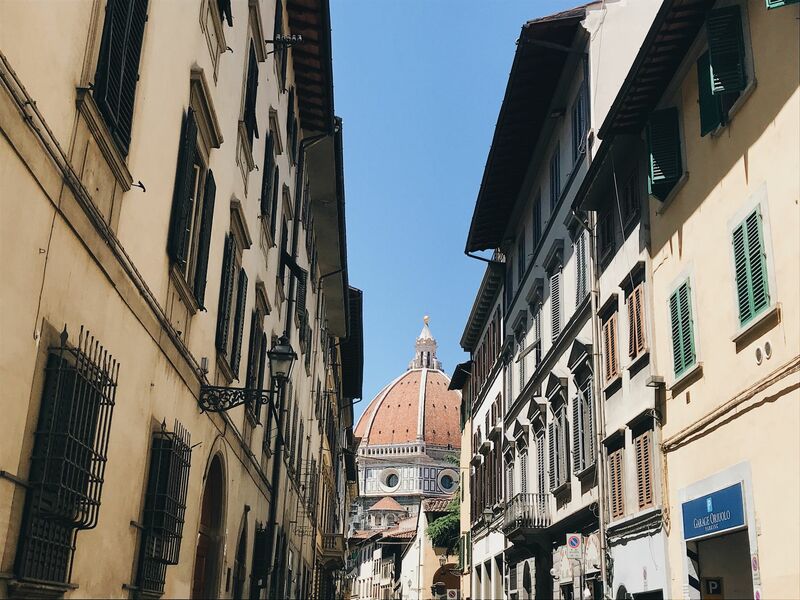 Totally agree with these top things to do in Florence! Can I just add like some gelato or a cannoli too? That’d be perfect. 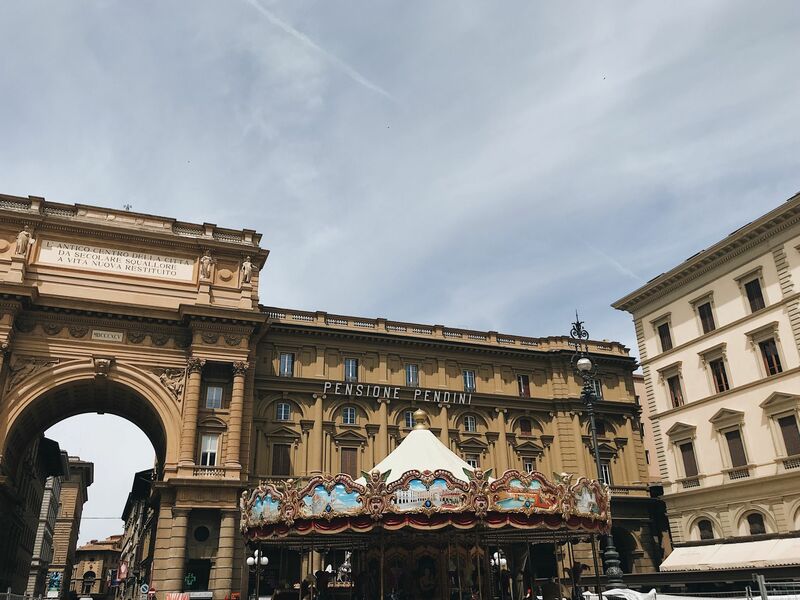 I enjoyed my time in firenze when we visited, I was so pleased to have ticked off everything on your list. The gelato at la strega nocciola around the corner from the Duomo was recommended by my Italian friend and I must have eaten it twice a day with that view! Wow! Thanks for providing a detailed description of what to see in Florence! Especially with regards to getting tickets for the Duomo. I’ve only read about places like Duomo and Pitti Palace in novels and have always wanted to visit. I have a dream to be in Italy on my 5th wedding anniversary. Reading your post made my longing stronger. Hope, I get a chance to visit Italy soon. Florence felt like a very romantic city so would be perfect for a wedding anniversary! This is such a great way to spend the day in Florence! I too love orange roof tops. 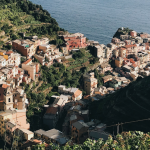 I yet have to visit this Italian city, and your experience and suggestions are totally on point – especially the tip about pre-bookings! I love Florence, it’s one of my favourite cities. We visited in September and were lucky enough to climb to the top of the Duomo, the views are indeed spectacular. I would imagine as you said the line to be incredibly long in the busy Summer months. I’m very jealous, would have loved to have climbed the dome (but gives me a reason to return haha) and yes the queue went on for miles!! Must have bumped my head 5 times walking up to the peak of the Duomo Cathedral, however worth it when we got there – breathtaking artwork up close. thanks for the reminder!